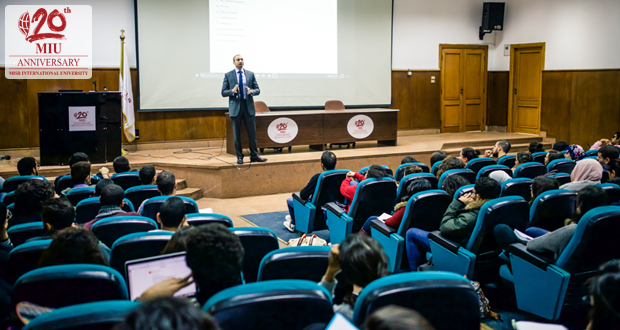 As Misr International University constantly strives to expand its students’ horizon and knowledge, the Business Administration Faculty organized the-first-of-its-kind competition in market value entitled “Market Value of Stocks” for third- and fourth-year Finance students under the supervision of the Faculty Dean, Prof. Dr. Tarek Eldomiaty. The competition will be under the academic sponsorship of Beltone Financial; one of the leading investment banks in the Middle East and North Africa region and in cooperation with Obourland for Food Industries. 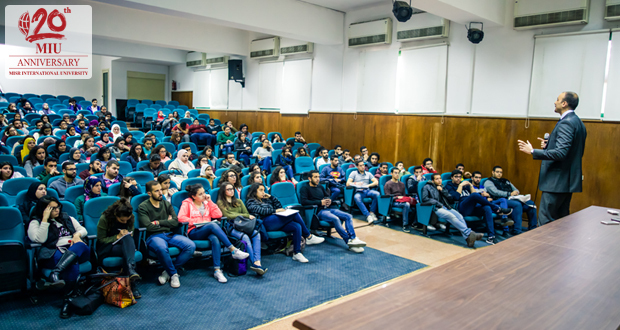 The opening of the competition was on February 18th, 2017 where more than 100 business students attended, as well as Mr. Hany Genena, the Head of Research and Head of Equities Strategy at Beltone Securities Brokerage and Mr. Ahmed Nour, the Head of Investor Relationship at Obourland for Food Industries and many leaders in the world of finance and economics. 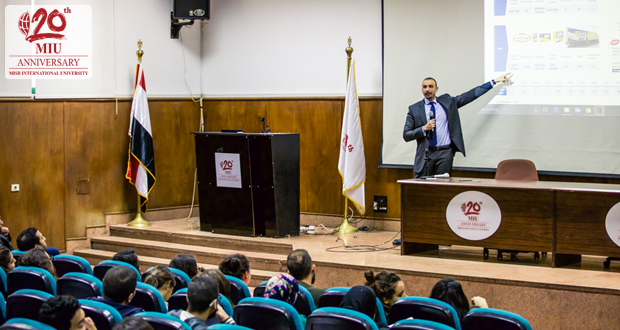 Throughout the competition, which will last till May, renowned financial experts will pass on their extensive knowledge and experience to MIU students, as they will spend several months understanding the basics of valuation and financial analysis. They will also go on field trips to the factory of Obourland, which they will conduct the valuation on. In the final phase of the competition, the students will submit their reports to a committee of Egypt’s top financial experts and professionals.